These Literacy Center/Station signs are a wonderful way for you to brighten up your classroom while developing a literacy rich environment. These signs are laminated and hung in their designated area in my classroom. The students use these signs to help them remember and know where the station is located. 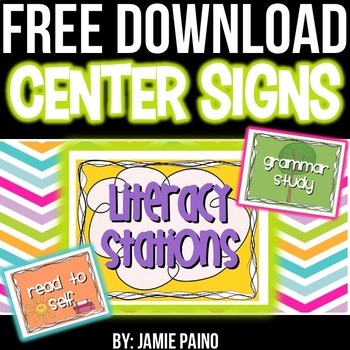 These signs are student friendly and can be used for a variety purposes (daily 5, small group stations, centers, etc).